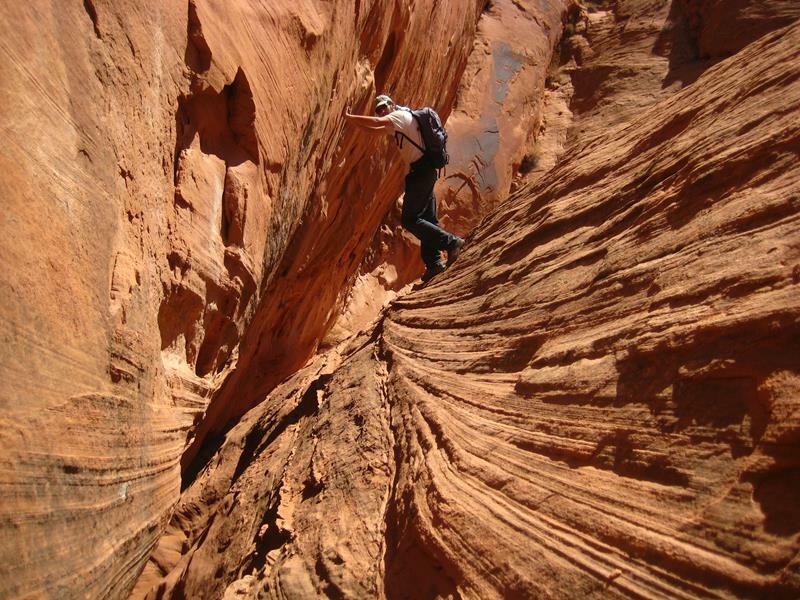 Are you interested in tackling hiking trails in dangerous places? Maybe you’d prefer to just view amazing pictures and let others take the risk? haha Look around and you’ll notice that our world is filled with spectacular natural wonders. 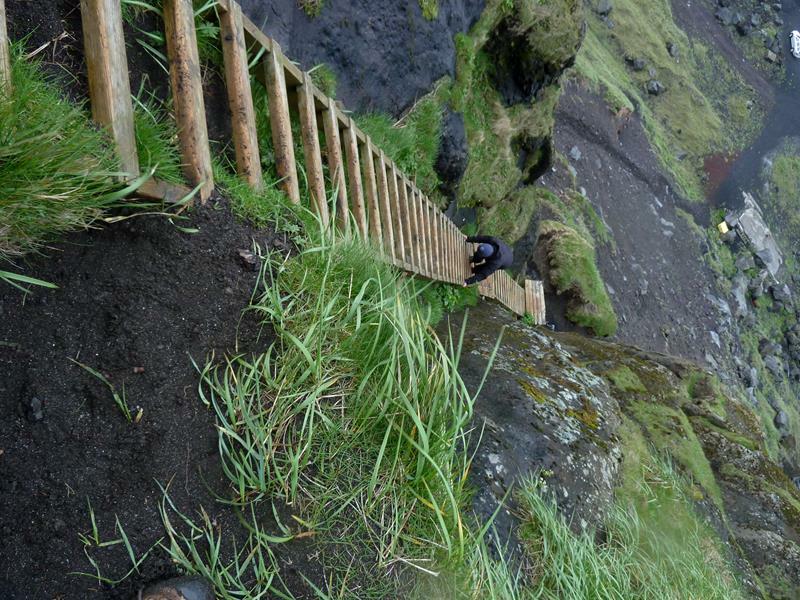 Do you have the guts to go into this hiking trail? Wonders so amazing we find ourselves drawn to them no matter how dangerous they are. 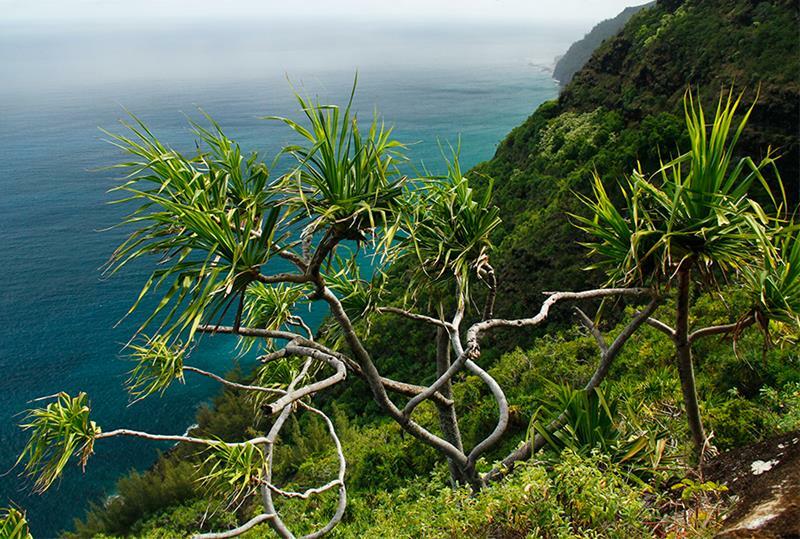 This includes hiking trails in areas most people would never dare venture. But for some people it’s the danger that attracts them. These people want to test themselves against the hardest trails in the world. 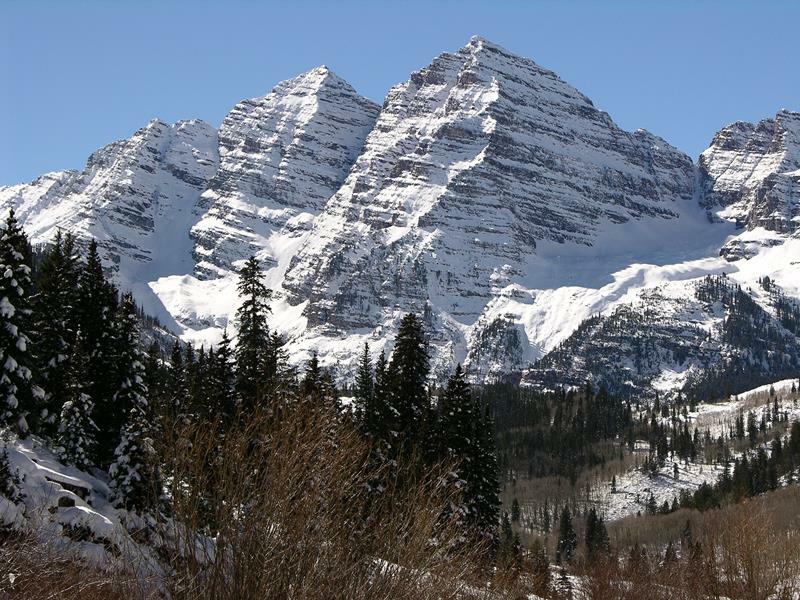 Remote locations, rough terrain, and/or in areas with challenging weather patterns. Sometimes, it’s man-made hazards create the challenges. 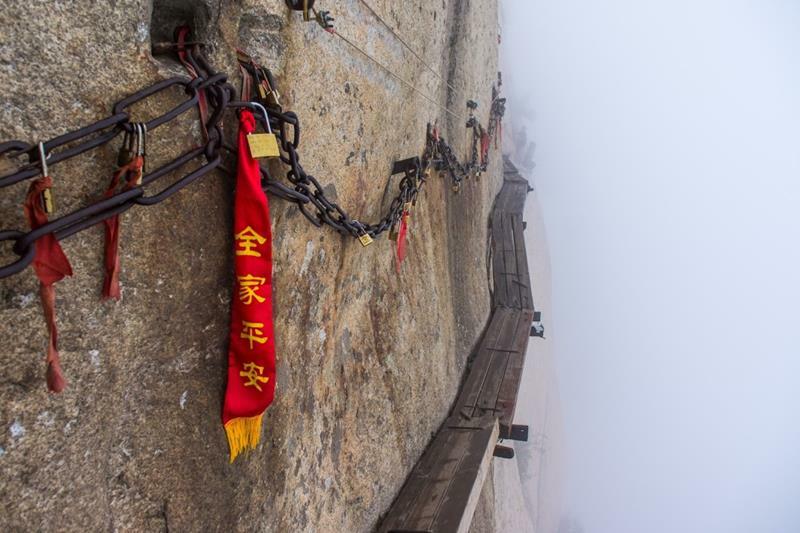 In this photo gallery you’ll find 25 of the most treacherous hiking trails in the world. Some of the craziest hiking trails in this list wouldn’t exist if it weren’t for the interference of man. For example, some hiking trails in this gallery have narrow wooden planks. These planks have been secured (if you can really call them “secure” haha) into sheer cliff faces. These planks are thousands of feet in the air. That’s a looong drop! Every year fatalities are reported at many of the hiking trails in this gallery. Regardless of the danger, people return to year after year. 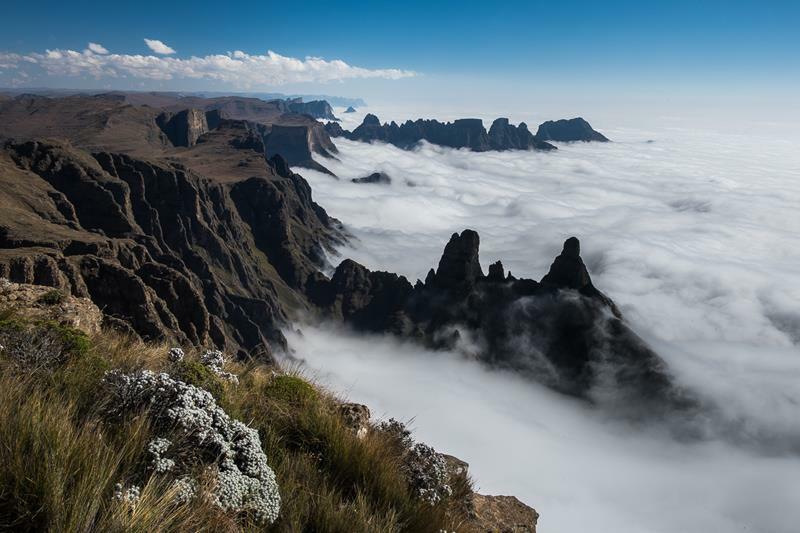 As treacherous as the hiking trails in this list are, they have some of the most beautiful, humbling, and inspiring landscapes on earth. 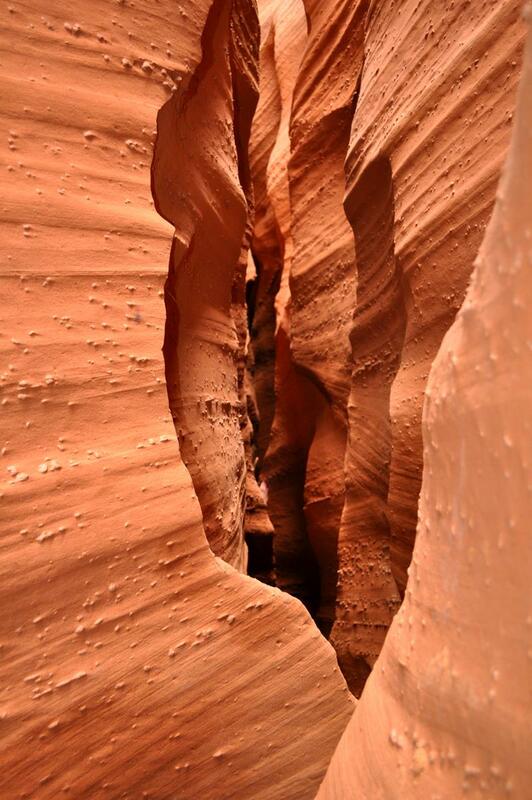 Do you think you could handle the trails in this gallery? With a reputation as one of the steepest and narrowest hiking trails in the world, this easily makes the most treacherous list. Falls and deaths are reported annually. This hiking trail wouldn’t even exist if weren’t for those creaky looking floating boards. And one of the most terrifying! If you thought China had a monopoly on floating board hiking trails in crazy places…think again! 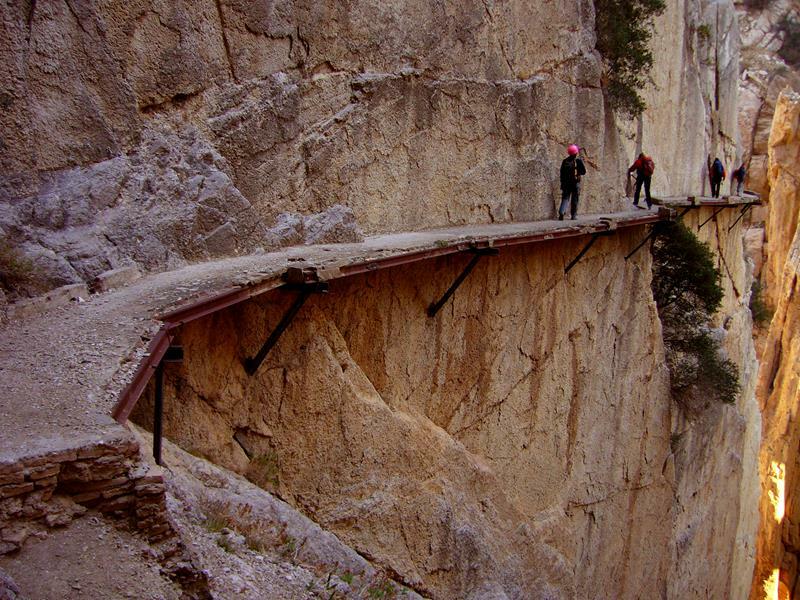 Spain’s El Caminito del Rey is just as stunning and scary. 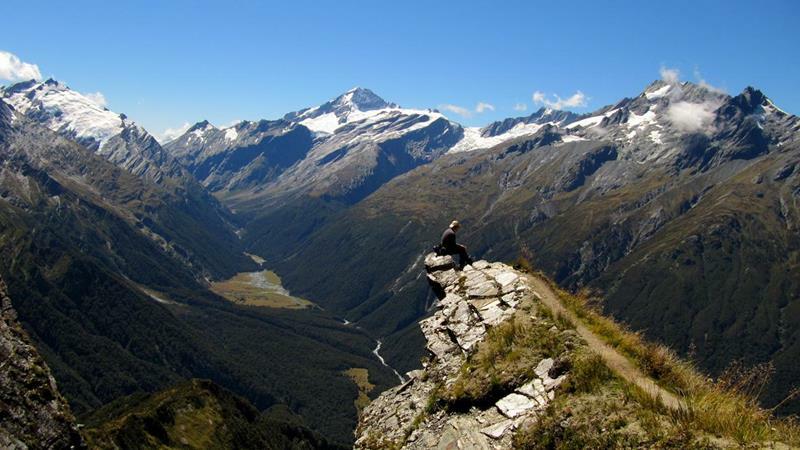 This hiking trail in such a sheer and unforgiving environment will send chills down your spine. Not to mention, send you plummeting thousands of feet to your death with just a single snap of a cable! If hiking trails in bone chilling cold, and high winds, don’t bother you, you’ll love this trail. Just don’t get swept off the ridge by an unpredictable and powerful gust of wind. 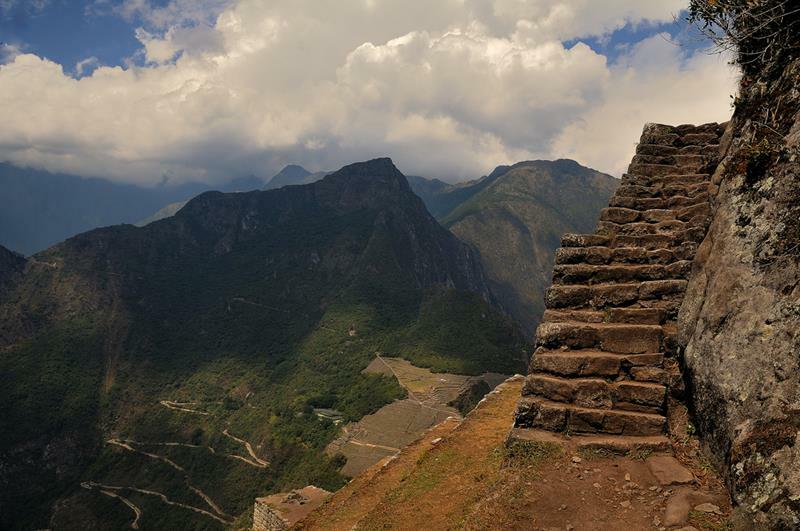 Vast stretches of this hiking trail, leading to Machu Picchu, are closed in the rainy season. The trail is so steep and treacherous it can’t be trusted at times. 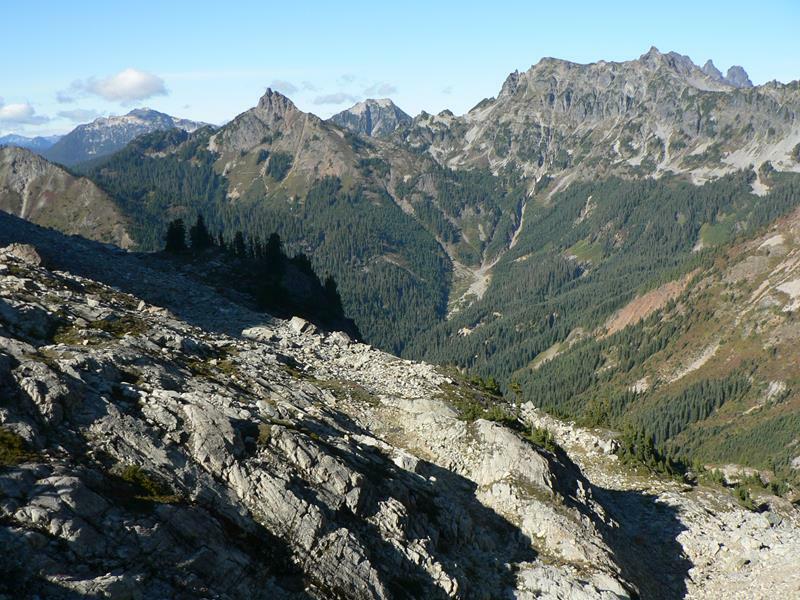 If you like hiking trails in remote areas full of small spaces, cuts, gullies and dead ends, this is for you. 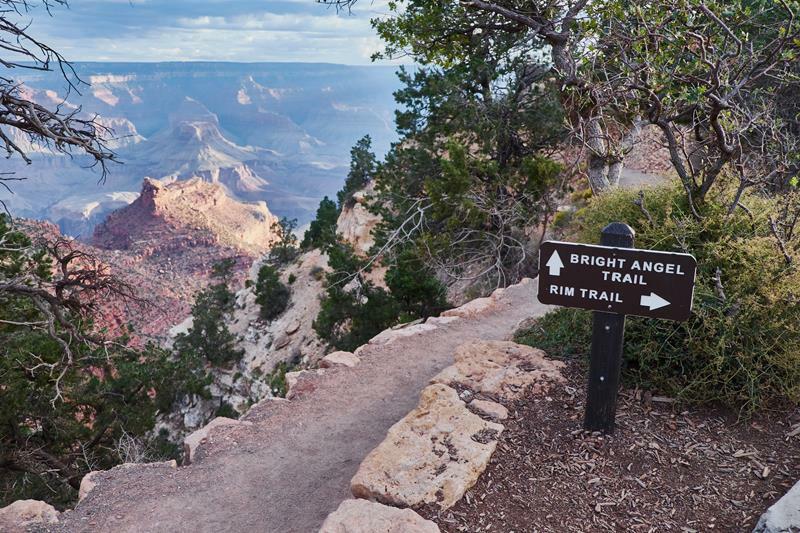 Don’t get lost in the bewildering labyrinth…or it may be the last hike you ever take. Beautiful but deadly. 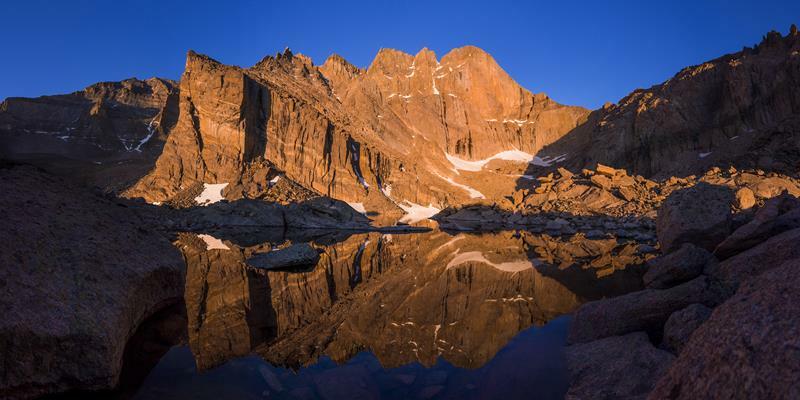 Longs Peak will lull you into a false sense of safety. Then hit you with reality…hard. Deaths are reported every year. Climb like your life depends on it. ….but also filled with dangerous wildlife. The West Coast Trail is brimming with bears and mountain lions. An almost impossibly hard upward trek back. Those combined forces make many hikers seek first aid from rangers here. Jagged, expansive, and incredibly steep. The landscape is equally breathtaking and deadly. The terrain is so treacherous and the ridge so narrow, your heart may not be up for it unless you love an adrenaline rush. 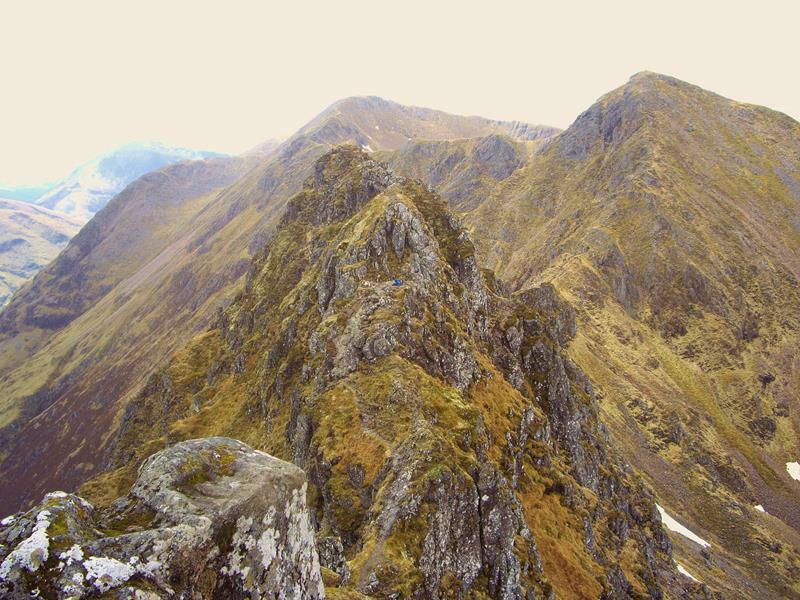 If you’re searching for hiking trails in life-risking conditions…Aonach Eagach Ridge should be on your list. Half-dome itself is known for deaths each year. 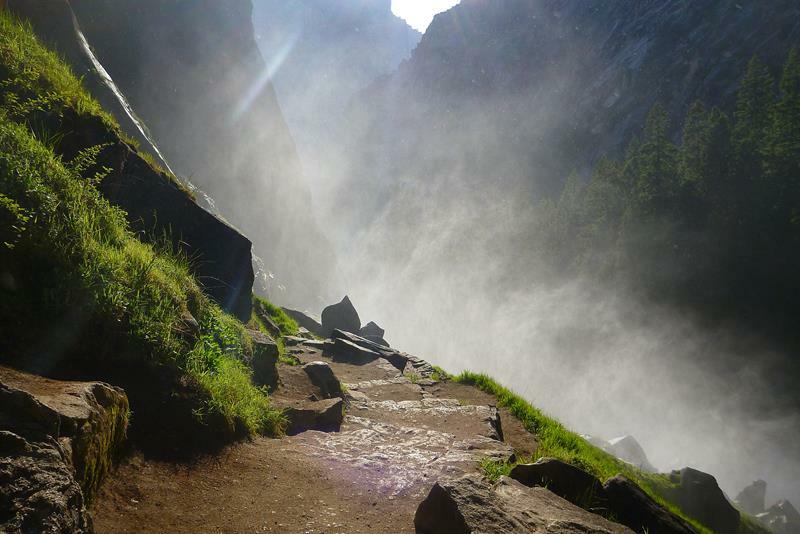 But the Mist Trail may be just as treacherous. Steep, narrow, and slick with moisture. Not to mention the real possibility of getting struck by lightning! A serious challenge. Narrow cliff-side trails plus mud and rock slides…make it a dicey proposition. 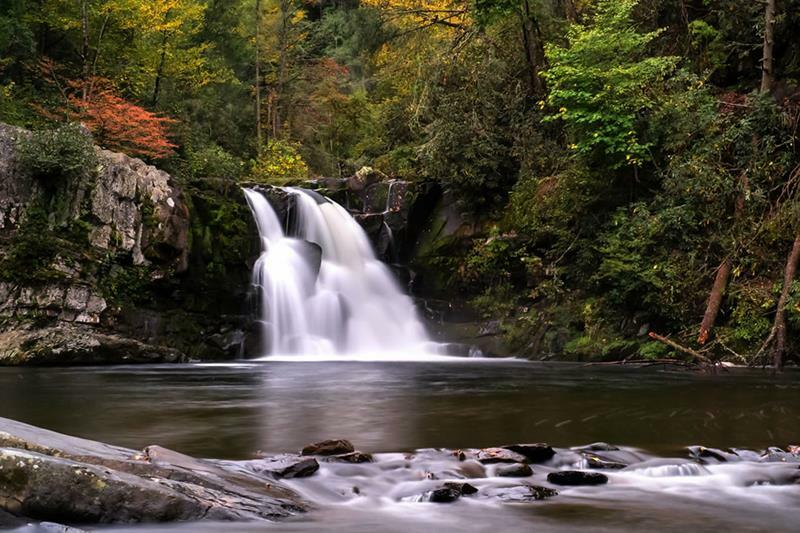 The wrong step on slippery rocks at Abram Falls may be your last step. But hey, maybe you’ll have some fun swimming for your life as you’re swept away by unrelenting currents. Hope you’re not afraid of small spaces. Because that’s where you’ll be spending the majority of your time here. Getting stuck in the confined spaces is a real possibility. “Deadly Bells” is the nickname you’ll hear for this trail. And for good reason. Unstable and tricky terrain abound. 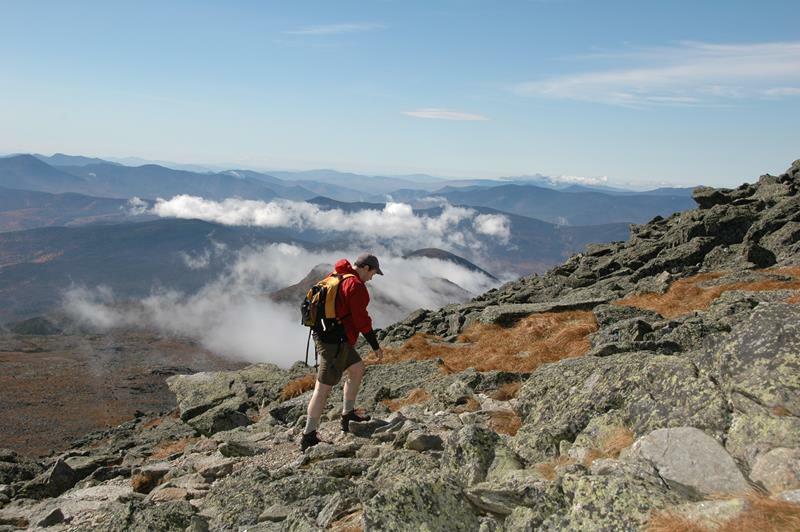 The ground giving way beneath Hikers feet is not uncommon. Some people like their hiking trails in extreme cold and harsh storms. Well, if that’s you, check this out. Muir Snowfield has taken untold lives due to the nightmarish snowy weather patterns. Deaths happen even in the warmer months. Does the possibility of falling off crumbling paths excite you? Do you enjoy getting heat stroke? 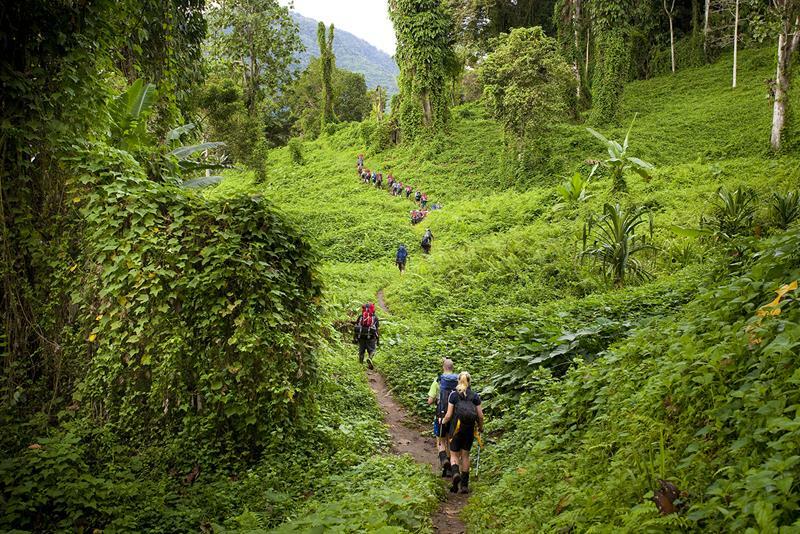 If you answered yes, then Kokoda Trail may be the perfect vacation spot for you! 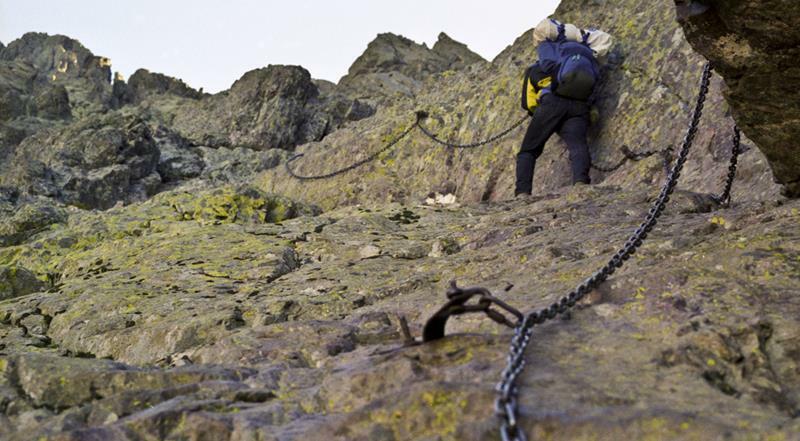 Hold on to special chains (they’re you’re only real support in some areas) as you traverse uneven and impossibly high terrain. Bears rule the hiking trails in Huckleberry. They are so predominate that there is very good chance you’ll have an encounter with one here. 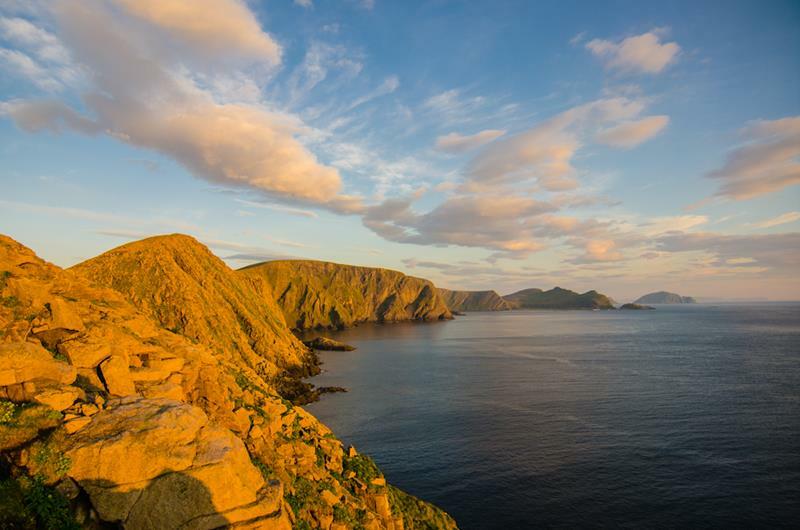 But don’t let the beautiful views tempt you into getting too close to the edge. 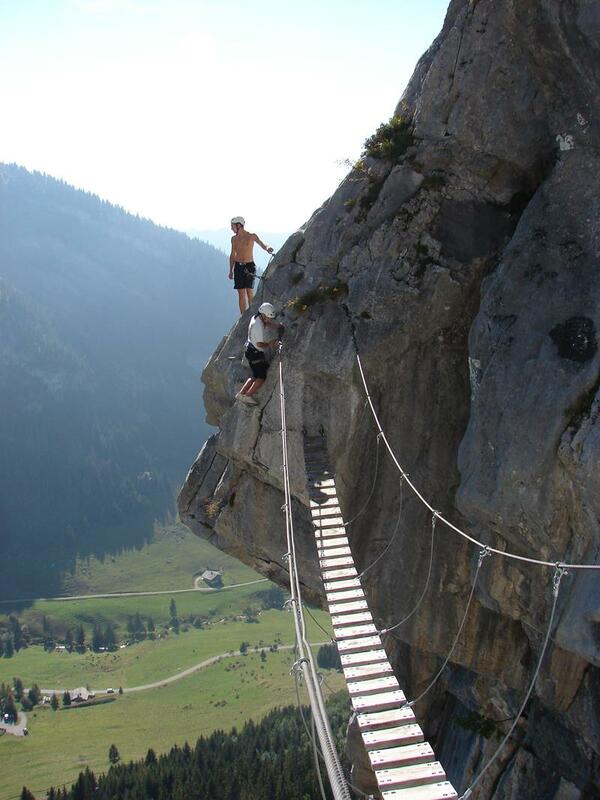 A 9000 foot climb up narrow paths and sheer cliff faces…treachery abounds at Wendenstöcke. If you’re considering hiking trails in Alaska you may want to change your mind if you thought of Rover’s Run. It has a long history of attacks on humans by brown bears and moose. Many-a-death has happened here lately due to hikers losing their footing on slippery and loose rocks. Watch your step – watch it closely!